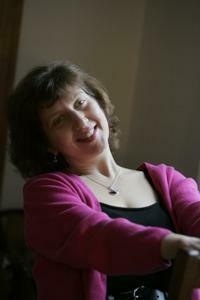 Ann Bauer is a novelist, journalist, essayist, and food critic. In her own words, this means that she gets to read and write all day. One imagines enviously that, as food critic, she also gets to eat all day. 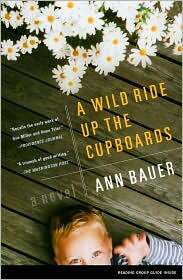 Bauer is the author of the semi-autobiographical novel, A Wild Ride Up the Cupboards which the Washington Post named one of the best books of 2005. The book is the story of a family's disintegration while trying to cope with an emotionally unstable child. 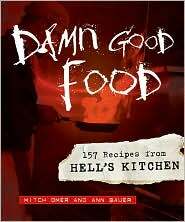 Bauer's second book, co-authored with Mitch Omer - the chef of Hell's Kitchen in Minneapolis and Duluth - is the culinary memoir Damn Good Food: 157 Recipes From Hell's Kitchen (2009). The book includes many of Omer's personal recipes. Bauer meanwhile takes a candid look behind the scenes at Omer's darker side - his bipolar, obsessive-compulsive behavior and his generally chaotic life. In addition to her two books, Bauer is a contributor to salon.com where her most recent essay, The Monster Inside My Son, was awarded a Narrative Nonfiction prize by the Nieman Foundation for Journalism at Harvard. Bauer divides her time between Bainbridge Island and Minneapolis. For more information on this author please go to http://www.annbauer.com/.